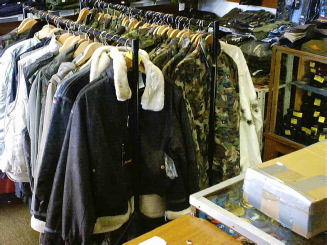 Protek Surplus stock a huge range of ex-army military equipment and clothing. We specialise in British kit, but also stock an extensive range of both new and used, sourced from all over the world. At Protek Surplus you will be pleasantly surprised and absolutely amazed. 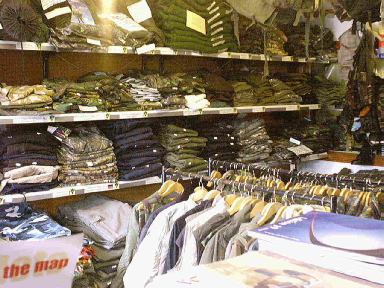 In our shop you will find both surplus and new clothing and boots. To us, surplus means clean, excellent condition and well sorted gear. From trousers to T shirts, socks, jackets, pullovers and boots you will find almost anything you need. Army boots are comfortable, durable and excellent value for money (we don’t like the word cheap, that indicates low quality). We try to stock new and used so you have a choice of new perfect condition or used (usually in very good condition). Cadets often prefer used as their feet are growing quicker than the boots wear out! We keep British army assault boots new and used, German para boots, Goretex lined pro boots and many others. On the subject of boots and footwear, we keep several styles of boots that are designed specifically for security use. Alpha boots are a high leg design with cordura sides and offer a speed lace system for putting them on in a hurry. Mid cut Alpha boots have similar features but are a lower cut. Delta boots are a high leg design with all leather uppers offering water proof performance. Our range of security products covers belt pouch systems with dozens of pouches to suit every need, and we do walky talkies, head sets and radio accessories. We also have a BRILLIANT range of torches including Maglites and LED torches. We even stock hand cuffs and speed cuffs. Kit bags, rucksacks, Bergens, haversacks, shoulder bags, respirator bags, dry sacks, bergen covers, compression bags, duffle bags, nap sacks, back packs, bivi bags,PLCE pouches, utility belts, utility pouches, lunch bags, tool bags, sleeping bags, shoulder bags, medics bags, first aid bags, tent bags, stuff sacks, utility bags, world war 2 gas mask bags, respirator sacks, glasses cases, hide bags, bread bags, sea sack, webbing bags, webbing pouches, waterproof bags, map cases, knife pouches, wash kit bags, laundry bags, gun bags, rifle bags, holsters, magazine pouches, holdalls, tactical packs, fishing bags, tool rolls, game bags, satchels, bumbags, 37 pattern back packs, 37 pattern side packs, survival bags, orange survival bags, Goretex bivi bags, waterproof bivi bags, pistol cases, muddy boot bags. Thats all the bags we can think of. For details give us a ring. We now have MTP camo, the latest army pattern, masses of stock, best prices.